Want something warm, cozy and completely unique to keep your feet snug all winter long? 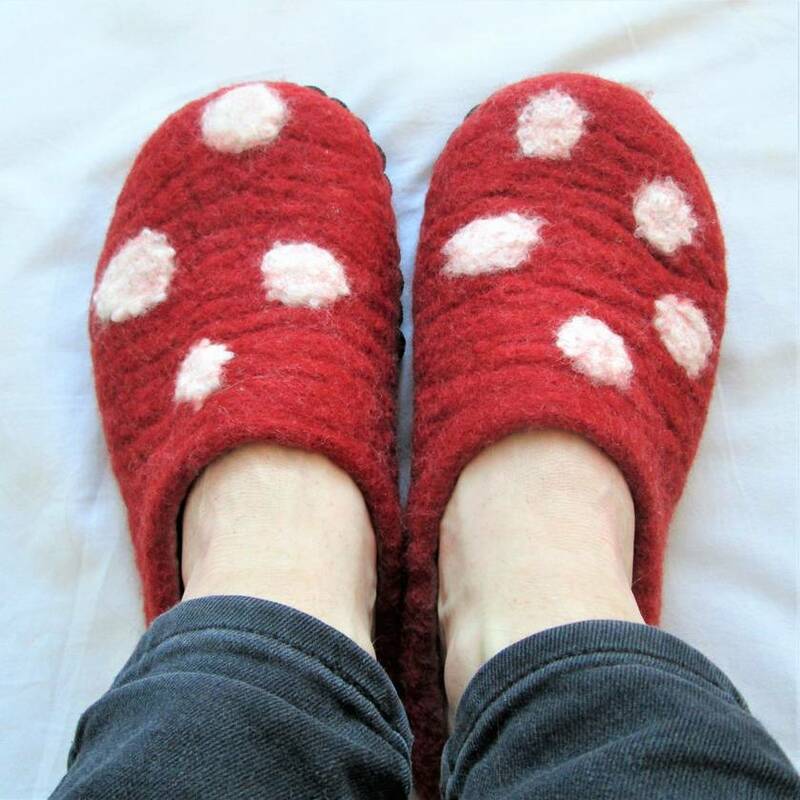 This listing is for a pair of custom made, hand felted slippers in the colour and size of your choice. The pictures give a few ideas of the colours and patterns available, but many more are available - if there's something else you're dreaming of, just ask. 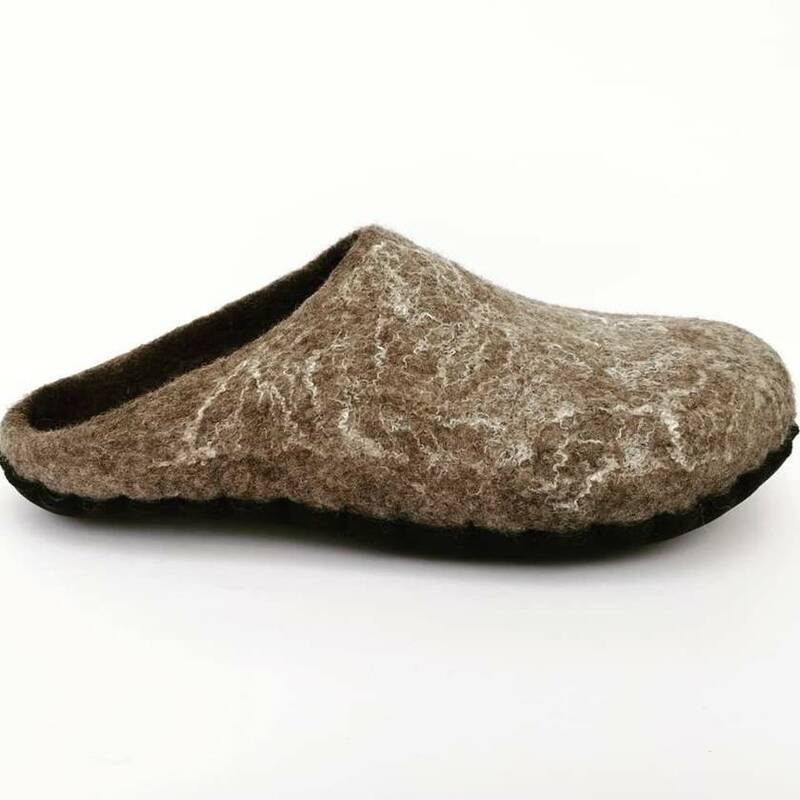 Wild felt slippers are hand felted from a blend of NZ merino and corriedale wool that is natural and soft on your feet. The felt is thick, durable and made to last. These slippers are super comfy to wear and will mold to the shape of your feet as you wear them in. The soles are recycled neoprene, made from old wetsuits. This fabric is waterproof and will extend the life of your slippers - and make them warmer than slippers with leather soles! 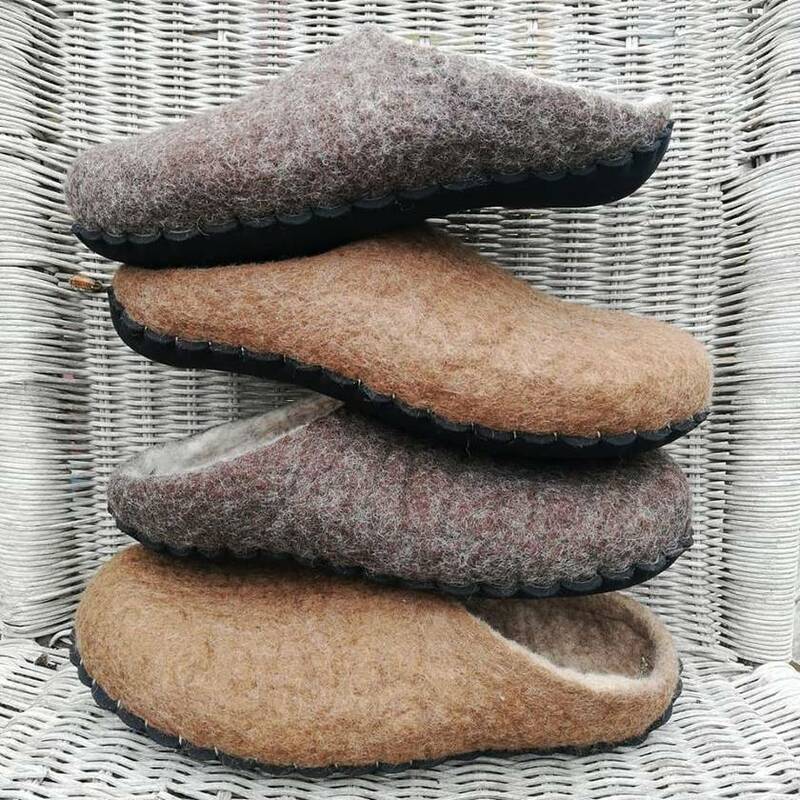 All wild felt slippers are available in sizes NZ womens 6-12. When you purchase please send a message with your usual shoe size, or length & width measurements of your feet. Also include a description of the colour/design that you want. I'll send you back some colour samples and a design sketch. 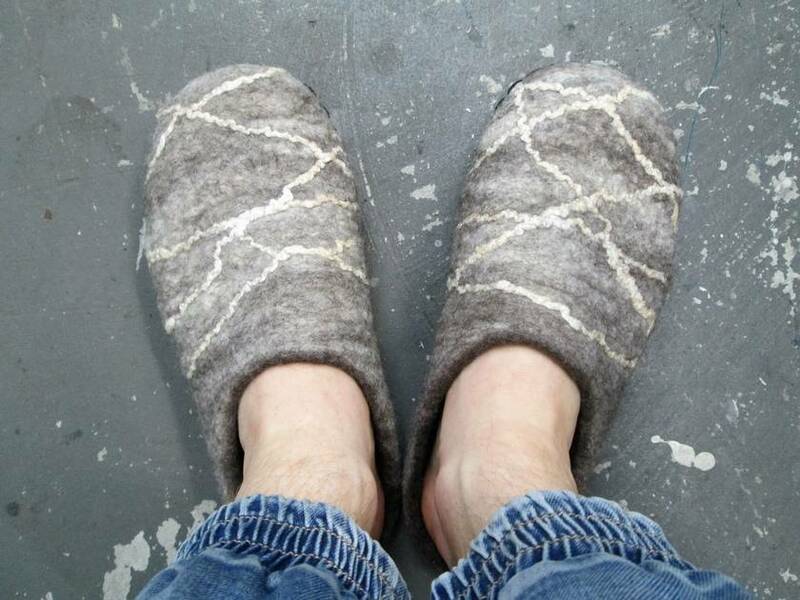 Your slippers will then be custom made and sent to you within two weeks of payment. Worried they might not fit? Refund/replacement available if product is returned within 30 days of purchase. All wild felt products are handmade in Lyttelton, Christchurch. Pick up is available by appointment. Follow WILD FELT on facebook or @wildfelt.art on Instagram for regular updates and new products... Be original. Be wild!